1 Compact and strong structure, and easy operation. 2 The automatic control system which can adjust barrel pressure. 3 High oil pressing efficiency, and residual oil in cake is less than 8%. 4 Low crushing efficiency for palm nut. Packed by the protect film inner, water repellent plastic outside. The wood packing is necessary if send by less than a container. it will fixed by steel rope in the container. Make sure it is in good condition when arrived destination.Shipping : 30 days after receiving your deposit or L/C . 1.Ensure provide complete sets of equipment and accessories timely.2.Ensure that one-time installation debugging acceptance.3.To provide high quality material with preferential price.4.Priority to provide customer our new craftworks and products.5.Free training technological operator to ensure the trained staff can operation independently.6.In the installation process,we will appoint an installation supervision staff on the spot.7.Provide experienced project manager, organize LD good installation for you.8.Training how to instal the machine,training how to use the machine. 9.Engineers available to service machinery overseas. 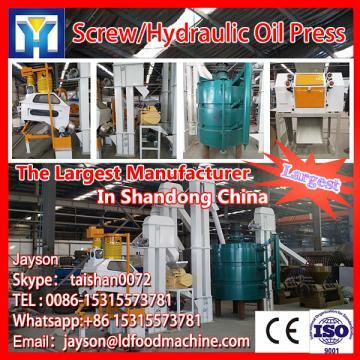 We are a have more than 40 years experience professional manufacturer of edible oil extraction machine. Exporting for worldwide,with clients more than 50 countries. Provide design, manufacture, installation, calibration and after service.